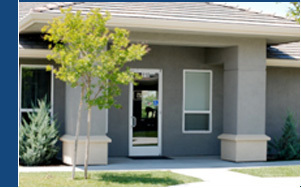 We welcome all patients into a warm and friendly atmosphere. Each patient is treated as an individual, not with a standard protocol that may or may not fit. You will receive a comprehensive one hour evaluation by a licensed physical therapist. For maximum continuity, your follow-up appointments will be scheduled with the same physical therapists. 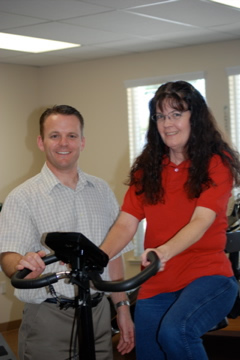 We provide care that is one-on-one with a physical therapist. We don't use aides or assistants. We believe that you come to us to be treated by a therapist, not an untrained helper. Our therapists are specially trained to provide hands-on care not just heat packs and ultrasound. As experts in physical therapy, we will assess mobility, strength and general function. Based on our findings, we can perform joint mobilizations, soft tissue mobilization, and instruction in specific therapeutic exercise. In addition, we can perform other techniques and modalities such as heat, ultrasound and electrical stimulation as needed. Our mission is to be a leader to colleagues, patients and the community. We dedicate ourselves to education; to empower patients to give them the tools for recovery to the greatest extent, and to use evidence based treatment techniques by keeping up with current literature. We strive to provide the best treatment available while promoting healthy lifestyles in a professional, yet friendly and easy-going environment. Copyright 2019 Orland Physical Therapy & Sports Medicine. All Rights Reserved.